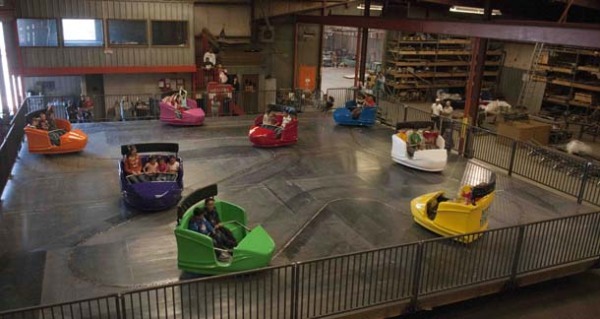 Combining the thrill of a Whip with cars from the classic Tilt-a-Whirl, this brand new attraction from Gordon Rides and Larson International was engineered by Ride Centerline. Passengers experience an unpredictable and thrilling trip around a wild, compact layout. MegaWhirl’s many turns allow carriages to swing close to each other, providing riders with the illusion of a pending collision. Variations in ride path, curve pattern and size provide even greater unpredictability and thrills. Alternatively, the transport system could be used inside a dark ride.